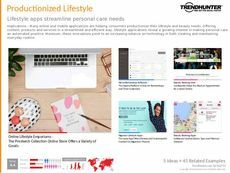 Find Better Ideas, Faster ® with a custom beauty trend report, our PRO Dashboard and 80+ categories of premium trend reports. 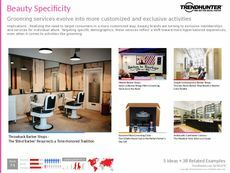 The Beauty Trend Report explores the latest innovations and ideas emerging in cosmetics, beauty spas, health clubs, salons and more. Our crowd-sourced research showcases how new products and marketing campaigns are effecting consumer tastes, as seen with the effects of major brands such as Givenchy, MAC Makeup and L’Oréal. 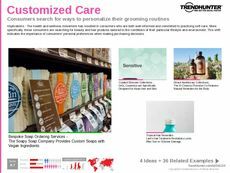 Uncover how beauty magazines, fragrances, hot spas and other businesses in the health and beauty sectors are adapting their products to stay ahead of consumer preferences. The market insight provided in this report is ideal for those in cosmetic development, marketing, advertising and the publishing sphere. 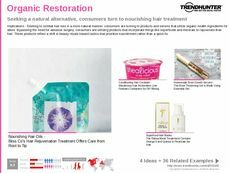 The research found in the Beauty Trend Report, which is sourced and filtered from the consumer, will incite product development and offer a new way to approach beauty designs.